NEWS: Ring Doorbell for £75,000, anyone? Catch criminals, and help rehabilitate them, too. Recently we reviewed the very impressive Ring Video Doorbell 2, a replacement doorbell that lets you see who is a-knocking while you're on the other side of the world. It was great, and for £179 it is very decently priced. However, if you want something both technological and blingy to greet your guests at your front door, you need to fork out slightly more. How about a jewel encrusted Ring Video Doorbell for only £75,000? Available exclusively at Selfridges in London, the limited run of just ten doorbells have be decorated by jewel specialist Bijan. 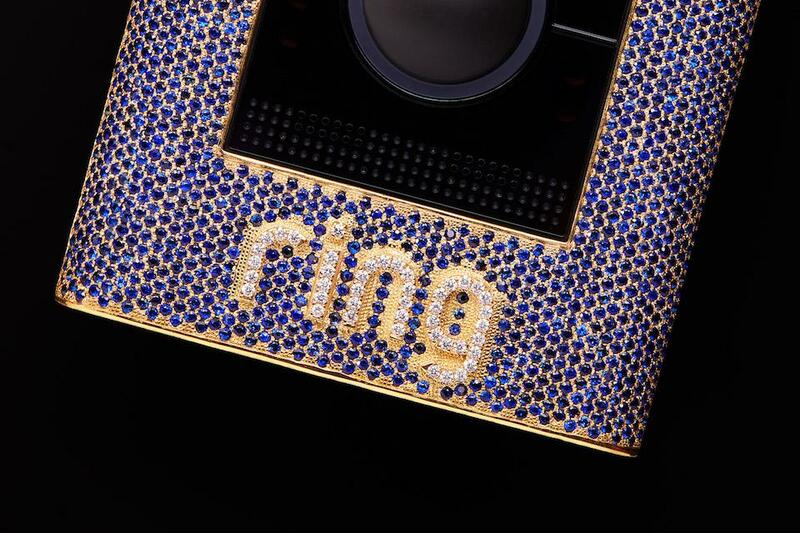 The 18k gold faceplate has been adorned with 2077 blue sapphires, while 42 white diamonds highlight the Ring logo. 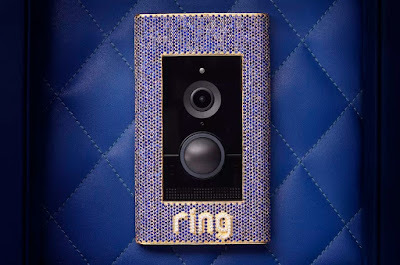 Apparently the 'Ring Elite Crown Jewel` will work like an ordinary Ring Elite Doorbell, but, y'know, it'll set you back 75 grand. Yep, 75 grand for something that sits outside your house. And we though Ring doorbells were supposed to deter thieves. On that note, proceeds from sales of the ten doorbells will apparently go straight to charity. Money will be give to an organisation in the UK that helps convicted criminals reenter society and stay honest, which is a very noble thing for a security camera company to do, we suppose. We asked Ring if we could review one of them, and weirdly they've yet to get back us. Very weird.